Financial content marketing helps you to attract new clients by boosting your visibility and showing that you can solve their problems. Great financial content takes time to create. But you don’t always have big chunks of time to devote to your content strategy, writing, editing, and promotion. Don’t despair! 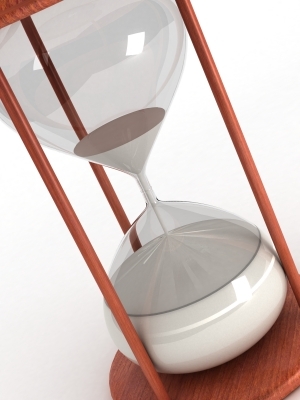 You can give your content a boost when you have as little as 10 minutes to spare. Generate ideas by reading an article—any article. I got the idea for this article from reading “Time Crunch: 13 marketing tips that will take you 10 minutes or less” in the Journal of Financial Planning (July 2016). However, any article can spur ideas if you let your mind run free. For example, the Boston Sunday Globe‘s “More height warnings coming to Storrow,” which discussed trucks crashing into road overpasses, made me think about those crashes as a metaphor for individuals ignoring warnings about their finances. It could turn into an article about “3 warning signs you shouldn’t ignore” or a topic in behavioral finance. It could also serve as a story for content about auto insurance, or infrastructure investments. You can also riff on the titles that appear on a magazine cover. Do keyword-based research. Brainstorm ideas around the keywords for which you’d like your website or blog to rank high. Some online tools, such as AnswerThePublic, spit out ideas based on the words that people input into search engines. Set up a Google Alert. See what people are talking about in your main areas of interest. Introduce content you’ve already created. It took me less than 10 minutes to write an introduction and load an infographic that I’d had my virtual assistant create for me. 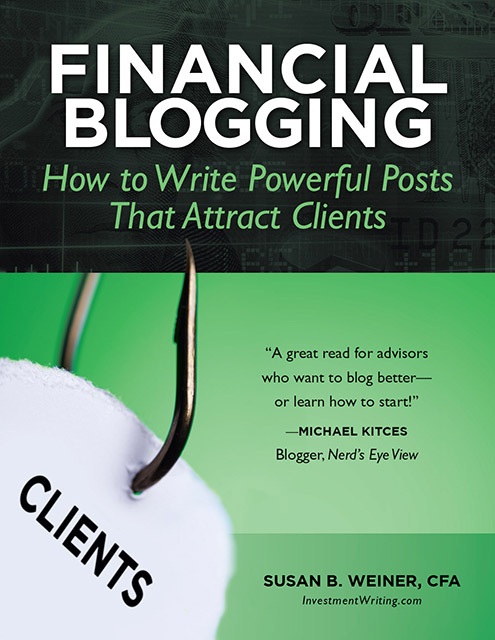 You can see the results in “Infographic: 5 Ways to Add Personality to Your Financial Writing.” You can take content that you’ve created elsewhere—an infographic, video, podcast, webinar, SlideShare, or guest post on someone else’s blog—and re-purpose it on your blog. Assign a task to a team member. You don’t have to do all of the financial content marketing work yourself. For example, every month I email my virtual assistant with introductory text and a list of articles to highlight in my newsletter. Request a guest post. Ask an expert, referral source, client or other person for a guest post. Draft a list of questions for a Q&A post. Think of a topic that you’d like to cover in an “interview” via email. After you gain your interviewee’s consent, send them a list of questions to answer. Start a blog post with the intention of not finishing. You don’t have to finish every post in one day, especially if you’re pressed for time. Sometimes it’s good to stop a post before you finish dumping your thoughts on the page. Later, when you return to the post, it’ll be easier for you to resume writing by expressing the thoughts you had left unstated in your last session. Proofread by listening to your content. I describe this in “My best tip for editors who proofread their own work.” Of course, fixing things may take you more than 10 minutes. Send your content to a colleague or a professional for proofreading, copyediting, or other feedback. Another set of eyes is always helpful. Install an SEO plugin. I use the free version of the Yoast SEO plugin for WordPress to boost my awareness of how to highlight my keywords. Learn more about SEO. You can find relevant videos on the Google Webmasters channel on YouTube. Some of them, like “SEO for startups in under 10 minutes,” are short. You can also check out classes on the Google Webmasters website. Write a social media status update. Promote your content via LinkedIn, Twitter, Facebook, or whatever social media channels work best for you. Research a blog for a potential guest post. 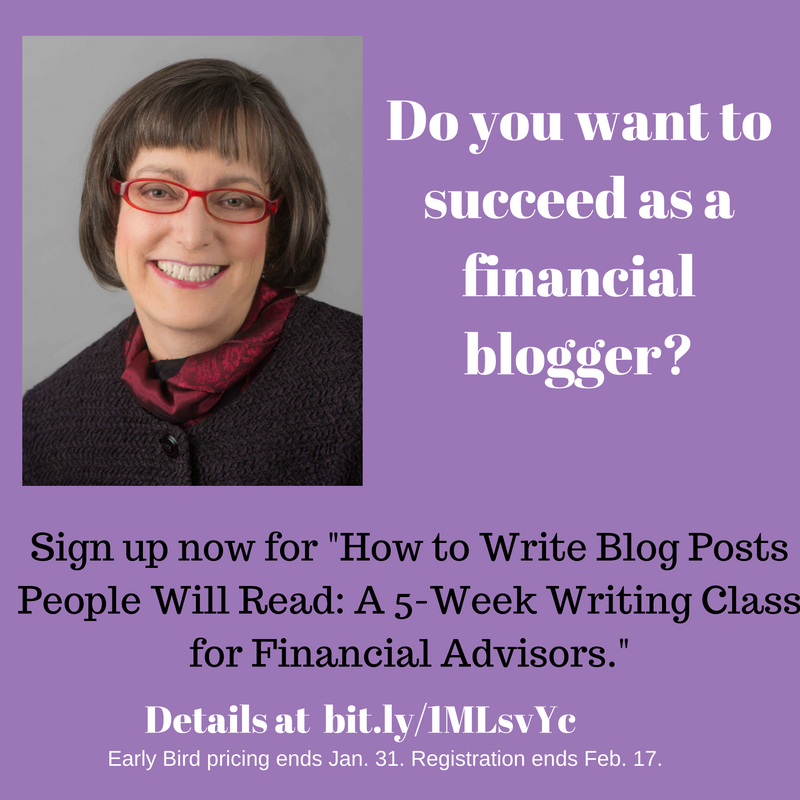 My two-part post, “How to guest-blog on personal finance or investments,” tell you how to approach blogs for guest posts and gives you links to some blogs that accept guest posts. Pitch a guest post. Email your potential host to propose a guest post. 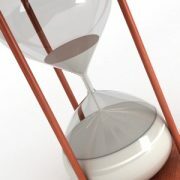 Hourglass image courtesy of Graphics Mouse at FreeDigitalPhotos.net.